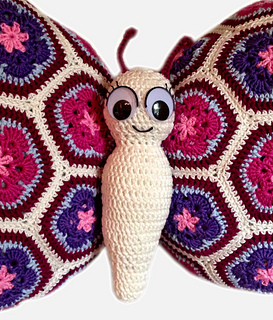 Create your own Tess the Butterfly with this Direct Downloadable Crochet pattern! 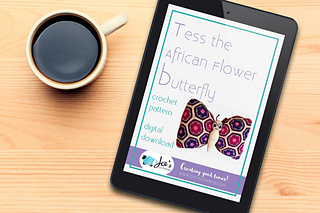 The beautiful thing about the African Flower Crochet Patterns is the SIMPLICITY. The ability to start out a beginner and create something big and beautiful by assembling small and simple pieces. 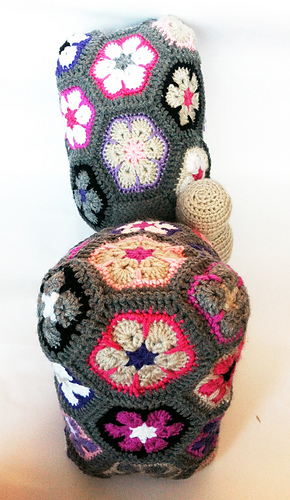 As with the Granny squares which have been so widely popular for ages now comes the African Flowers. All though they have been around for a while they have only reached popularity under the last few years and the trend does not seem to stop. For beginner or expert, this crochet pattern is a one fit all. 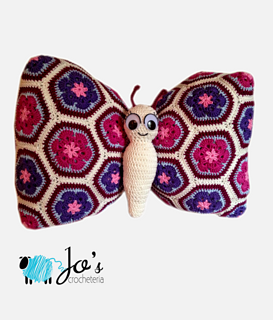 Want to watch TV and relax while crocheting? Then the African Flower Patterns are a perfect fit! 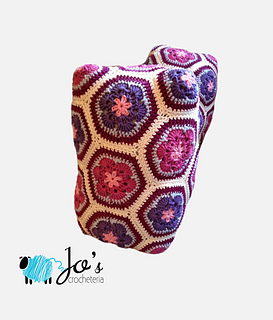 After just a few flowers you will know the pattern by heart and you can just sit back, relax and crochet! MAY I SELL FINISHED ITEMS? Yes, you may sell finished items made from this patterns.